The Tokyo Disney Resort is a huge complex dedicated to the Disney world, in Urayasu (Chiba prefecture), within the Tokyo metropolitan area. Founded in 1983 when Tokyo Disneyland was inaugurated, the first to be built outside the US and still the largest in the world after the two American giants in Florida and California. It is also the only disney park in the world not managed directly by Disney. 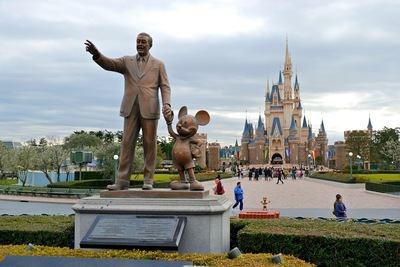 The idea, the investment, construction and management of the park are all by a Japanese company, obviously after having signed agreements with Disney. The complex includes two different and separate theme parks, Tokyo Disneyland and Tokyo Disney Sea, the Ikspiari shopping mall (a hundred shops and restaurants and a 16-screen cinema), and several hotels. Visiting Tokyo Disneyland as a couple, especially if it is a "first date", will bring that couple to break up. 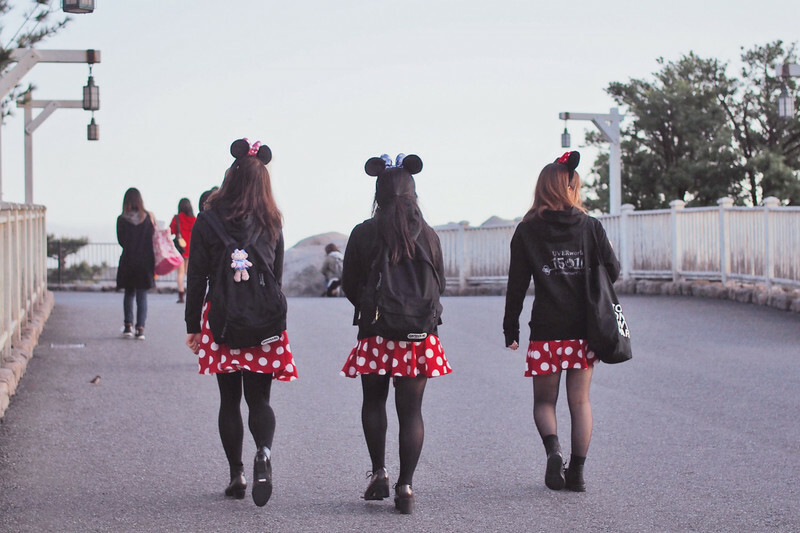 It is one of the most curious and popular beliefs about Disneyland among young Japanese people. This rumor is not entirely invented, the cause seems to be the confusion and the long lines for every attraction. This leads couples to spend several hours of the day waiting in line, ending up in embarrassing silences (especially in a first date) or arguing with each other. Other reasons that do not help are the choice of which attractions to do and which not (because of the queues it'll be impossible to do everything, so you have to make choices), the choice of where to eat, the fact that one of the two may not love Disneyland that much and might end up complaining about something. Both parks are generally open from 8 am to 10 pm. However, these hours may vary randomly, especially the opening hour that is sometimes postponed to 8:30 or 9. We recommend always checking the official park operation calendar the day before going. 1-Day Passport 7,400¥ 6,400¥ 4,800¥ Valid for entry to either Tokyo Disneyland or Tokyo DisneySea on one day. 2-Day Passport 13,200¥ 11,600¥ 8,600¥ Valid for entry to one park per day on two consecutive days. 3-Day Passport 17,800¥ 15,500¥ 11,500¥ Valid for entry to one park per day on the first two days and to both parks on the third day. 4-Day Passport 22,400¥ 19,400¥ 14,400¥ Valid for entry to one park per day on the first two days and entry to both parks on the third and forth day. Starlight Passport 5,400¥ 4,700¥ 3,500¥ Valid for entry to either park after 15:00 on weekends and national holidays. If the park closes before 10 pm on that day, this ticket cannot be purchased. After 6 Passport 4,200¥ 4,200¥ 4,200¥ Valid for entry to either park after 18:00 on regular weekdays. If the park closes before 10 pm on that day, this ticket cannot be purchased. You can simply buy tickets at the ticket office at the entrance, but in this case try to arrive much earlier than the opening time, otherwise you may find long lines. 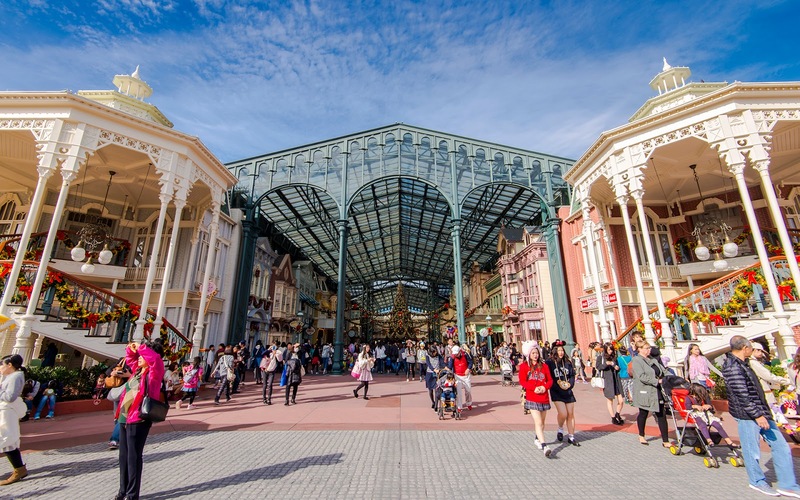 There are several ways to avoid queues at the ticket office: you can buy tickets at one of the disney stores in Japan (for example, in Tokyo, in Shibuya , Odaiba or Ikebukuro, a complete list here), or more simply buy tickets online. In this case, once you have purchased it, just print the ticket with the QR code that will be sent to you by email. If you are interested in a package that includes the entrance ticket and the direct bus from Shinjuku, you can buy it here. Fastpasses are an opportunity to avoid queues for some attractions. They are special tickets (obtainable for free and subject to availability) with a time interval printed on them (for example 16:50-17:50). To get a fastpass for a specific attraction you must first enter the park and then go to the entrance of that attraction. There you will find automatic machines. Scan your ticket and you will automatically receive the fastpass for that attraction with your assigned time interval. From that moment on, you can go to do whatever you want and go back to that attraction within the indicated time interval. In this way you will be able to enjoy the attraction with a very short waiting time. You cand find several websites recommending the most optimal strategies to use fastpasses. Not all attractions have this service, more information here. The typical Disney amusement park, but in Japanese version. The concept is very similar to the other Disney parks in America, Paris, Hong Kong and Shanghai. Even many attractions are the same. 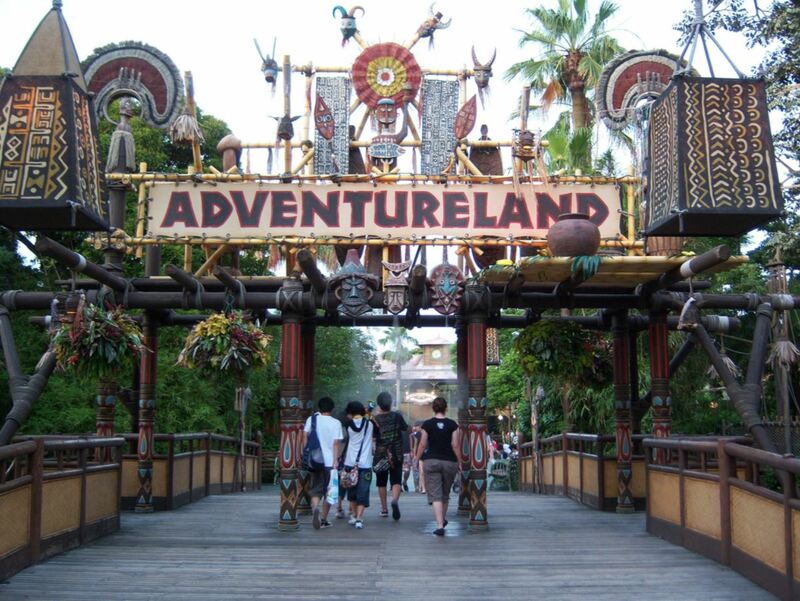 For those who have never been in a Disneyland, do not expect to find incredible rollercoasters or other extreme stuff. The philosophy of Disneyland is to transport and involve visitors as much as possible in its fantastic world populated by the various characters of the most famous Disney movies (both the classics and the most recent ones). 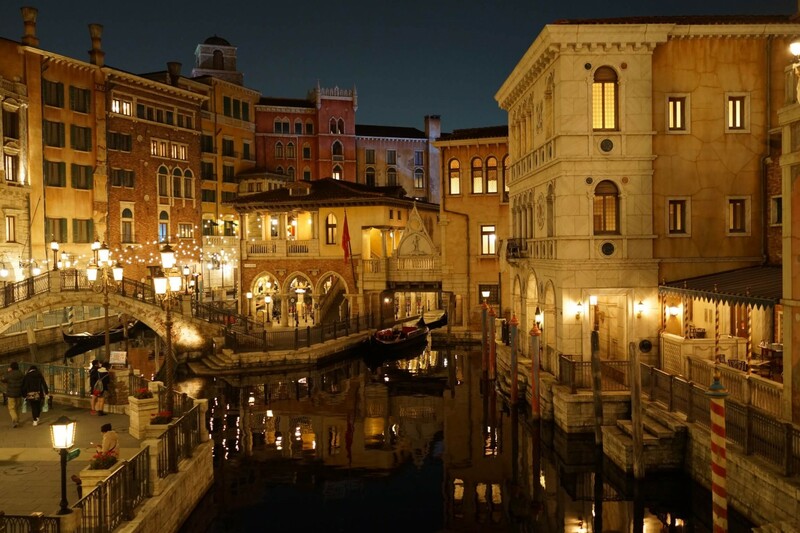 Although there are several Disney theme parks in the world, and maybe you've already been in some of them, the atmosphere in Japan is different. Not only, of course, for the language and the food you find in some restaurants, but also for the way local visitors experience these parks. 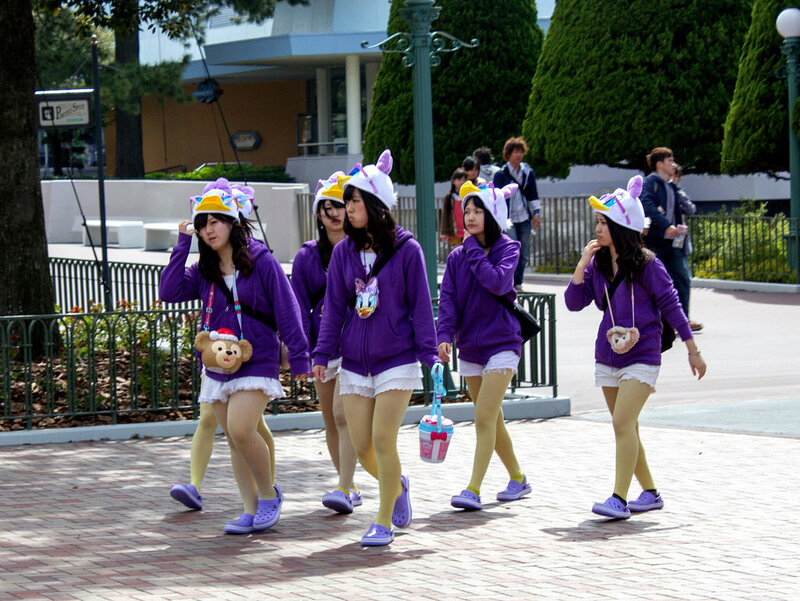 The Japanese, and in particular the Japanese girls who crowd the park, often wearing disney costumes and accessories, are in itself a unique attraction for a foreigner. The staff too is unique in the world. The park is divided into 7 areas. The world dedicated to adventure. Among the various attractions there's a tree house, a jungle cruise and an attraction in the world of Pirates of the Caribbean. Here the theme is the far-west of the United States at the time of the "new frontier", including gunslingers, American Indians and large rivers. Here is the most popular roller coaster in the park (Big Thunder Mountain), an attraction of 4 minutes with a train in a Grand Canyon. 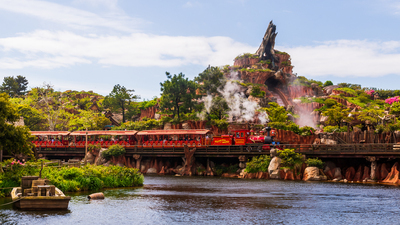 Two main attractions in this area, a canoe ride along a river, and the Splash Mountain, a log flume dark ride (16 meters high) after passing through the world of "Song of the South". The world dedicated to the great classics of Disney, one of the most fabled areas of the park. Here you will find the Cinderella Castle, and other attractions dedicated to Peter Pan, Pinocchio, Dumbo, Snow White, Mickey Mouse and Donald Duck, Winnie the Pooh and more. An area dedicated mainly to little children. 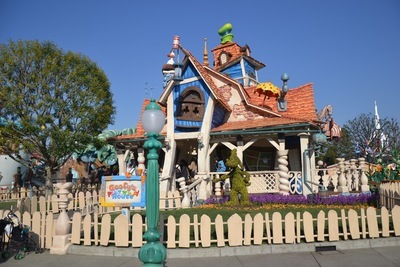 Here you can ride a Roger Rabbit car, visit Minnie's house and Donald Duck's boat. This world is dedicated to the theme of space and the future. 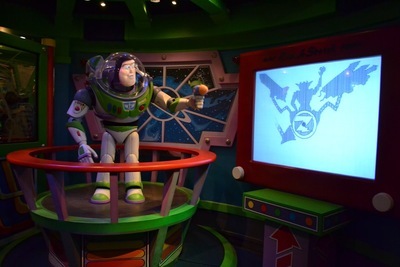 There's a very popular attraction of Buzz Lightyear and another of Star Wars. We could call it the world of money, or the world where visitors usually leave all the money left before going back home. It is located at the main entrance, it is a covered shopping arcade with lots of shops and restaurants, built to look like a street in an American city of the twentieth century. parades and shows are one of the park's most fascinating attractions. And you do not even have to queue up to enjoy them! Tokyo Disneysea is another theme park located just next to Disneyland. It was opened many years later, in 2001. There are no other similar parks in the world, and most attractions can't be found anywhere else. 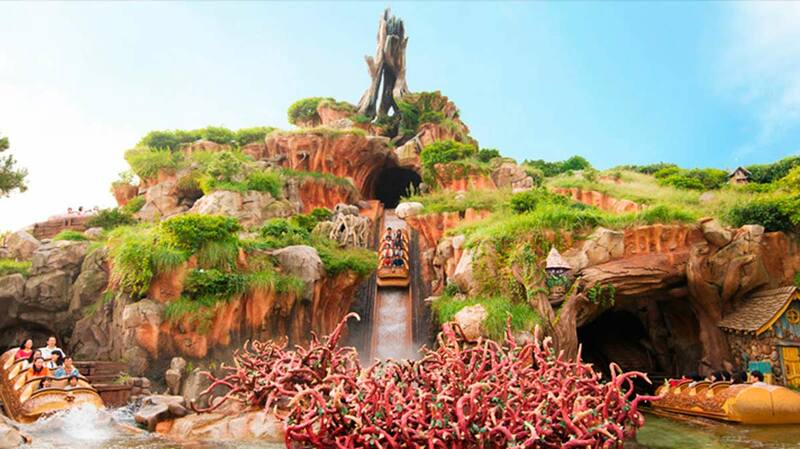 According to many theme park lovers, it is one of the most beautiful theme parks in the world. 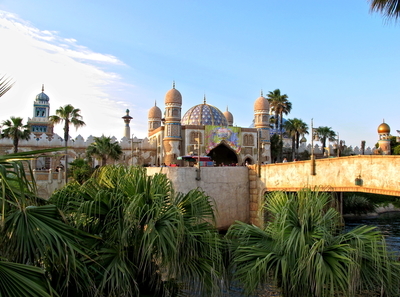 The very general theme of this theme park is water and the sea, and it is divided into seven "harbors", all connected by water. 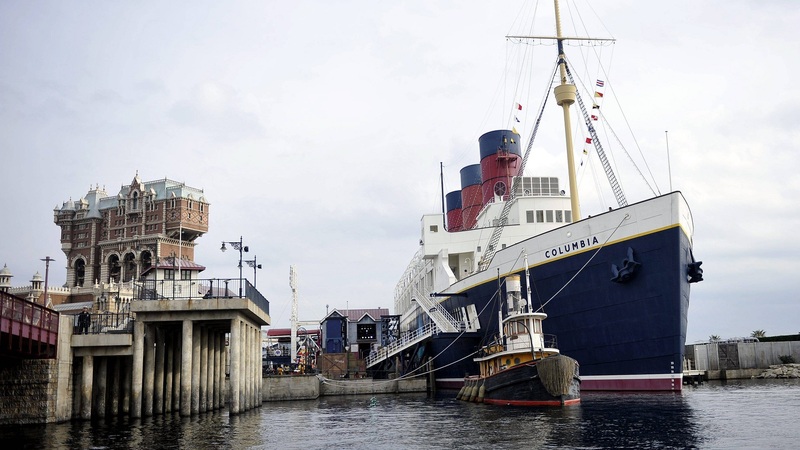 An internal line of boats (DisneySea Transit Steamer Line) crosses all the harbours. The closest area to the entrance, built to look like an Italian seaside town. Restaurants, shops and anything else all refer to Italy in some way. You can also take a gondola ride as if you were in Venice. This area is in turn divided into two areas, which reproduce two different facets of the United States of the early 1900s. One is the port of New York, with a reproduction of the S.S. Columbia cruise ship (a restaurant and a lounge bar inside), the other the fishing village of Cape Cod in Massachusetts. Restaurants and shops are American style. A popular attraction of Toy Story is located here. An elevated train connects this area with Port Discovery. 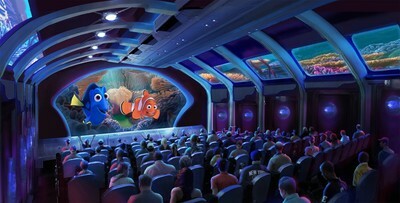 Described as the "tourist port of the future", the main attraction is the Nemo and Friends Searider, a 4D cinema with the characters of Finding Nemo. An archaeological area surrounded by the jungle in Central America. 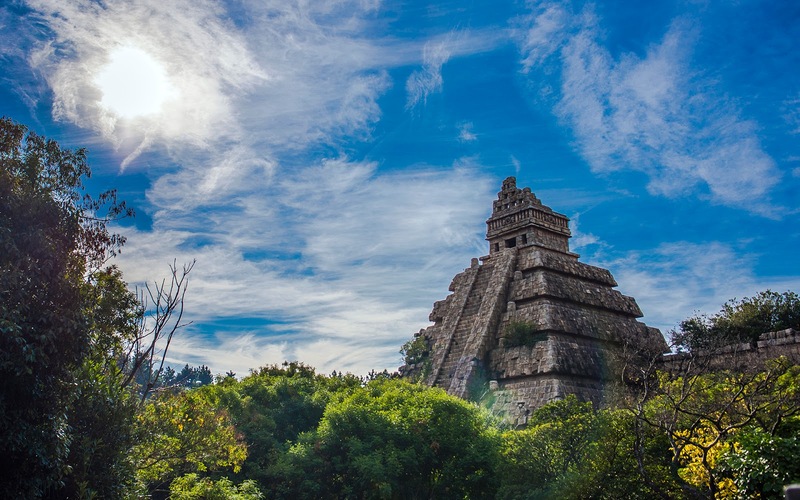 A large Aztec pyramid houses an attraction of Indiana Jones. Another popular attraction in the area is a roller coaster in the mountains of Peru (Raging Spirits). 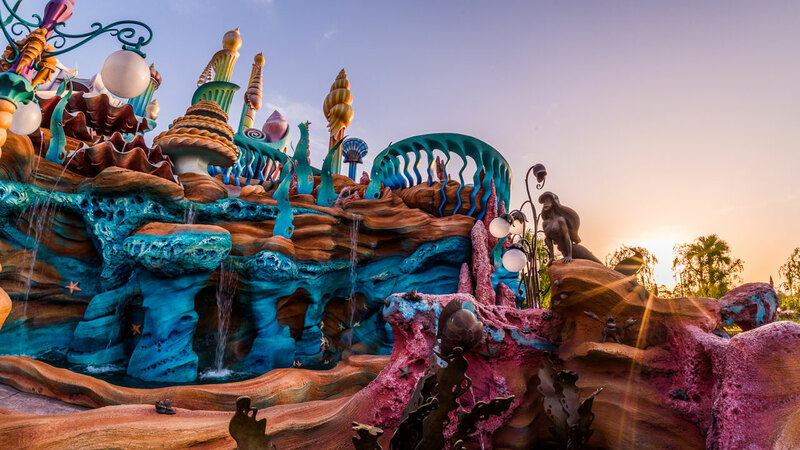 The park area dedicated to little children, with different attractions dedicated to the film The Little Mermaid. The world of Aladdin and of the stories from "One Thousand and One Nights", built to resemble an exotic Arab city. At the center of the park there is this mysterious island with a large volcano in the middle, dedicated to the novels of Jules Verne. 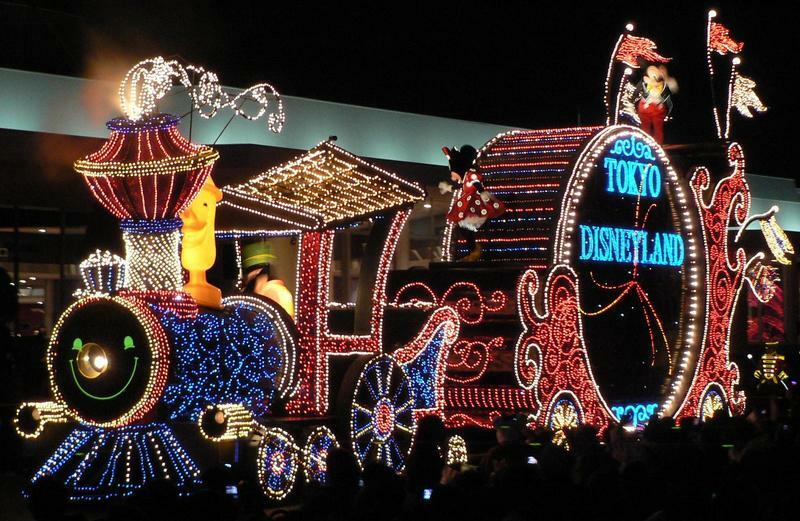 Is it worth visiting Tokyo Disneyland and Tokyo Disneysea? In general, if it's your first trip to Japan and you'll only stay a few days in Tokyo, maybe it's better to give priority to something else instead of "wasting" one or two full days in an American theme park. On the other hamd, you've already seen a lot in Japan, the Disney Resort can be a good idea to spend an alternative day. Are they really as crowded as they say? The answer is simply yes, especially on the most popular days (see below "Worst time to visit"). Weekdays. If you are on holiday in Japan you can go on any day of the week, unlike many Japanese, who have free time only on weekends. So there is absolutely no reason to go on weekends. In addition, the theme parks are decorated and special events are held during the various festivities of the year. 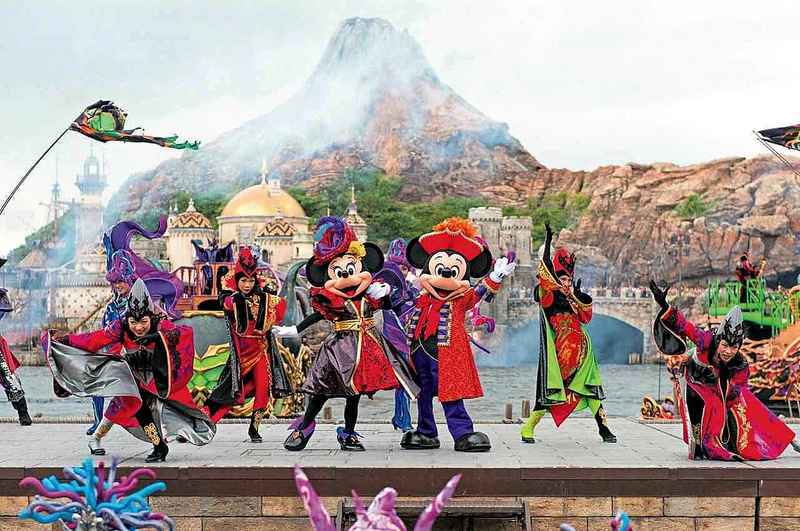 The periods of Halloween, Christmas, New Year's, Valentine's Day, Tanabata (non-exhaustive list), are special occasions to visit the Disney Resort, but on the other hand they might be crazily crowded too. At weekends and on any national holiday in Japan, you'd better never go there. Among the off-limits days there is of course the japanese holiday week between the end of April and the beginning of May known as Golden Week. Even the Christmas period and the days around the New Year's can be terrible depending on the days. Furthermore, during the last week of march and the first week of april, public schools are closed, so the number of visitors is higher than average. Last but not least, we recommend to completely avoid the months of July and August, both because of the crazy crowds and the heat. Spending hours and hours in the queue under the hot sun with a 80% humidity level is not an experience to recommend to anyone. Which is better? 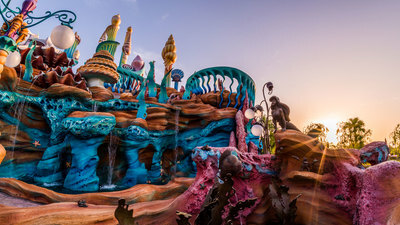 Tokyo Disneyland or Tokyo Disneysea? 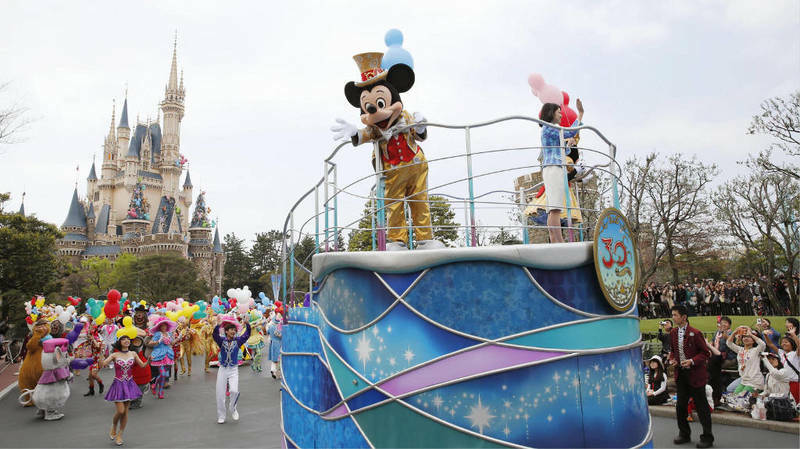 Tokyo Disneyland is Disney's typical "dream world" park, with many similar attractions to other Disney parks in the world. 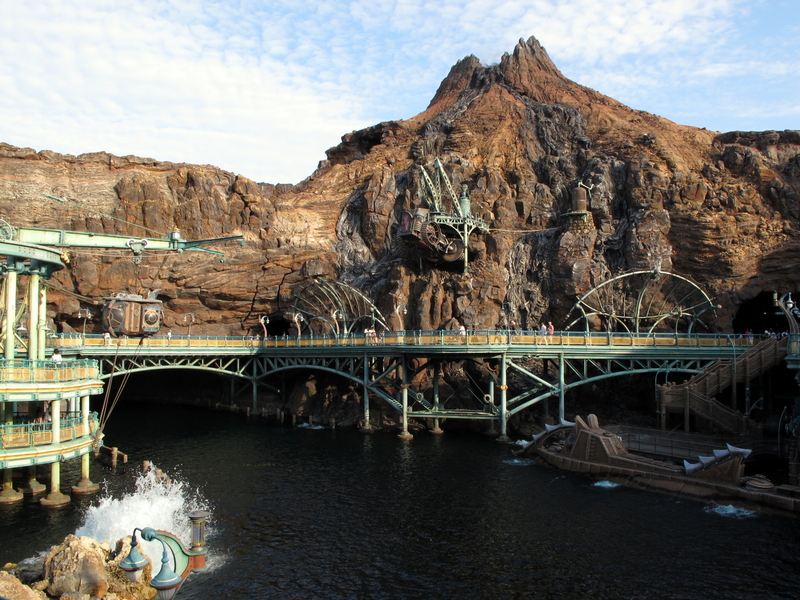 Tokyo Disneysea is a unique park and considered by some to be the most beautiful Disney park in the world. 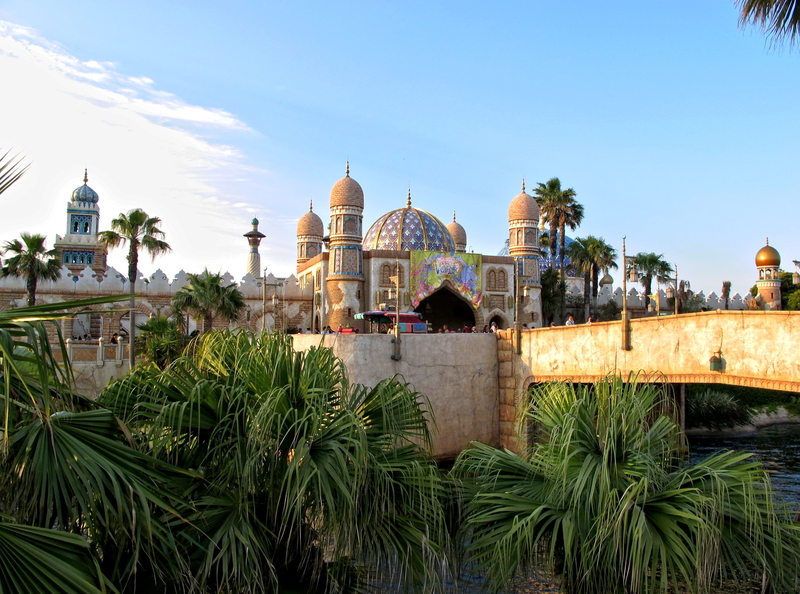 But Disneysea lacks that "magical atmosphere" typical of Disneylands. It is a park that is perhaps objectively more interesting, but the concept is very different, and you won't find many of those iconic sights and landmarks typical of Disneyland. Furthermore, the common opinion is that children like Disneyland more, and adults like Disneysea more. Do you feel more like an adult or like a child? Tokyo Disney Resort overlooks Tokyo Bay, and is located in Urayasu, about 15 km east of the central areas of the city. The closest station is the JR Maihama station (Musashino line e Keiyo line). The Keiyo line is the main access line for tourists, connecting Tokyo station and Maihama in just 15 minutes. From Maihama Station, you can get to the entrance of Disneyland and Disney Sea on foot (respectively 600 meters and 1.2 km away), or by taking the Tokyo Resort line. An automated circular monorail line, built and managed by the same company that owns the Disney parks. The line is 5 km long and takes 13 minutes to make one circuit. A single ride costs 260¥, but it is possible to buy some day passes (further information here). It is also possible to use the common prepaid IC cards (suica, pasmo, etc.). Tokyo DisneySea Station, close to the ticket office and the entrance to Tokyo DisneySea. From different areas of Tokyo and other cities (Yokohama, Narita airport) ther are bus lines that take you directly to the entrance of Tokyo Disneyland and Disneysea. Generally they cost a few hundred yen more than taking trains.